If a good audio experience is high on your list of features to have with your phone, the HTC Surround should certainly be on your short list. AnandTech has a full review of the device. Check it out and see if the device AnandTech calls a "pocket boombox" is worthy of your money. Wow, that is quite a review. 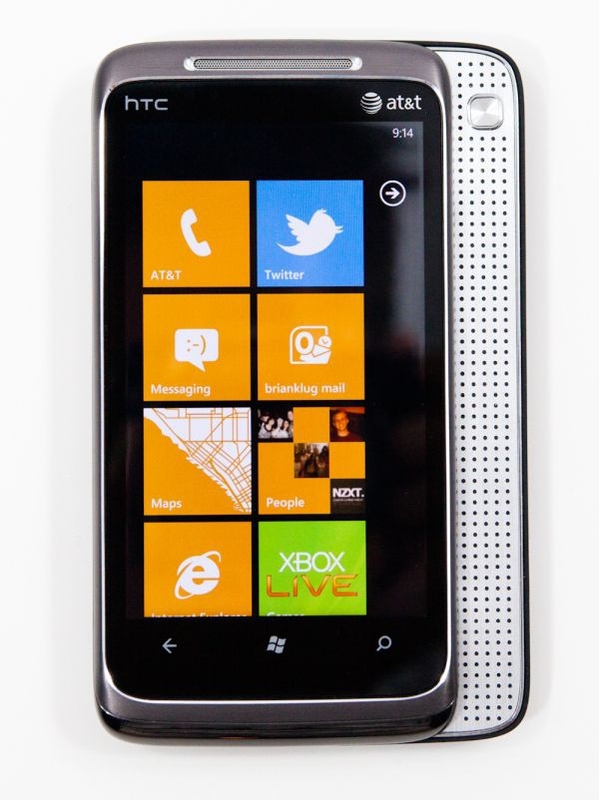 Kudos to HTC for pushing the envelope that Microsoft dictates for Windows Phone. As much a music fan as I am, this phone still doesn't interest me. I suspect most people need to use headphone/earbuds for their smartphone music experiences because they are in public places. The boomboxes of the 80's were annoying, and even if the HTC does sound like a small boombox, I don't want to hear yours. I can envision uses for this while traveling, but that is about it. I agree with the reviewer that the Zune service needs to be able to be used in landscape mode and that is really obvious with the Surround sitting on its kickstand playing music.